. Serious incidents in 2006 (a misshipment to Taiwan of intercontinental ballistic missile [ICBM] components) and 2007 (an unauthorized weapons transfer) alerted the Department of Defense (DoD) to the Air Force's mishandling of nuclear weapons and nuclear weapons-related materiel.
. The ensuing investigations revealed a serious erosion of focus, expertise, mission readiness, resources, and discipline in the nuclear weapons enterprise within the Air Force.
. In June 2008, Secretary of Defense Robert Gates appointed this Task Force on Nuclear Weapons Management to recommend necessary improvements and measures to enhance deterrence and international confidence in the U.S. nuclear deterrent. (See Appendix A.) The Task Force was appointed as a subcommittee of the Defense Policy Board, which will review and consider the Task Force's advice. Secretary Gates asked the Task Force to report on needed Air Force measures in 60 days and Department of Defense measures in 120 days. This report is the first of those two.
. Nuclear deterrence is achieved by credibly threatening a potential adversary with the use of nuclear weapons so as to prevent that adversary from taking actions against the United States, its allies, or its vital interests. This is accomplished primarily by maintaining sufficient and effective nuclear capabilities to pose unacceptable costs and risks upon the adversary should it so act.
. Nuclear weapons are unique in their physical, military, and political effects. 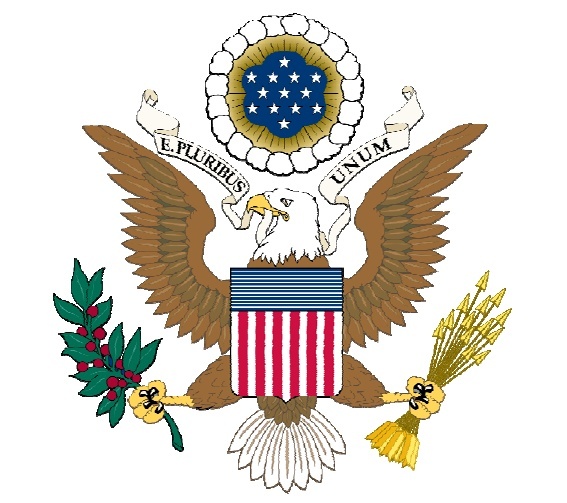 Their special character is recognized by the especially tight control on their operational custody, handling, security, and their potential employment-which rests solely with the President.
. Because nuclear weapons have been less prominent since the end of the Cold War and have not been used since World War II, their importance and unique role as a deterrent have been obscured though not diminished. 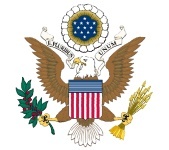 o Though our consistent goal has been to avoid actual weapons use, the nuclear deterrent is "used" every day by assuring friends and allies, dissuading opponents from seeking peer capabilities to the United States, deterring attacks on the United States and its allies from potential adversaries, and providing the potential to defeat adversaries if deterrence fails.
. The quality and credibility of U.S. nuclear forces, and New Triad forces more broadly, are critical to an effective deterrent. o The combination of capabilities in the "New Triad Concept"-the nuclear offensive forces of bombers, ICBMs, and submarine-launched ballistic missiles, plus long-range conventional weapons, strategic defenses, and a responsive nuclear weapons infrastructure-will provide the right mix of capabilities given the current and projected security environment.
. The Task Force notes that the bomber force plays a critical role in deterrence. Its readiness posture can be changed visibly, signaling to potential opponents a growing preparedness to act. This, combined with the inherent flexibility of bombers compared to missiles, merits renewed emphasis in our deterrence and war planning.
. Russia is reshaping its doctrine and improving its nuclear arsenal toward greater reliance on nuclear weapons. There is a substantial set of experiments being conducted at its nuclear test site and President, now Prime Minister, Putin has publically declared his intention to deploy new weapon types based on "new physical principles."
. China is modernizing and expanding the size and reach of its nuclear forces. North Korea and potentially Iran are developing their own nuclear weapons and delivery systems. In light of these and other geopolitical developments, it remains U.S. policy that the viability of nuclear deterrence is essential to our national security. The Air Force and the nation must comprehend and act upon this reality.
. The Task Force found that there has been an unambiguous, dramatic, and unacceptable decline in the Air Force's commitment to perform the nuclear mission and, until very recently, little has been done to reverse it. o Senior leadership decisions during the past 15 years have had the cumulative effect of compromising the Air Force's deterrent capabilities. o The change in bomber mission focus away from a cadre of nuclearexperienced personnel to conventional-warfare experienced Airmen was accompanied by a gradual decline in nuclear expertise, including in the senior leadership. o Stewardship of and focus on the policies, procedures, munitions handling processes, security, and operational exercise of nuclear weapons have been dramatically weakened. o The decision that junior officers assigned initially to ICBMs will spend the remainder of their careers in the space mission area devalued the nuclear mission area and had the effect of reducing the depth of Air Force nuclear experience, especially among midcareer and senior officers. o As a result, the readiness of forces assigned the nuclear mission has seriously eroded. 5. There was no single command to advocate for the resources required to support nuclear capabilities. Collectively this meant that no one Command in the Air Force had "ownership" of the nuclear mission.
. The New Triad concept articulated in National and Defense policy documents is not generally understood by many of those involved in the Air Force nuclear mission. This lack of clarity is sensed all the way down to the crew level. In addition, the Air Force has not updated its doctrine on nuclear deterrence since 1998.
o Lacking a complete understanding of the importance of the nuclear mission, the Air Force has experienced instances where personnel have failed to maintain discipline in following procedures, and some Airmen do not view the nuclear mission as vital. o The Task Force recommends that the Air Force update its nuclear deterrence doctrine to bring it into alignment with the New Triad concept and that Air Force personnel connected to the nuclear mission be required to take a professional military education (PME) course on national, defense, and Air Force concepts for deterrence and defense.
. An essential element of leadership involves inspiring people to feel they are doing important work and are valued for it. We must restore pride among those who are performing the Air Force nuclear mission.
. Air Force leaders failed in their leadership responsibilities to shift priorities and adjust policies and resources in ways needed to maintain robust nuclear stewardship, resulting in the inattention that led to the Minot-Barksdale and Taiwan incidents. o The Task Force recommends that the Secretary of Defense require the Air Force to provide periodic reports on improving nuclear weapons management.
. The Air Force has failed to establish adequate procedures and technical orders related to nuclear operations and support. Air Force streamlining efforts along with personnel reductions and allocation decisions led to significant degradation in the nuclear mission. o The Task Force recommends that the Air Force review in detail all nuclear related instructions to the field to ensure they are current, consistent, and sufficient.
. A rigorous inspection regime and Staff Assistance Visit (SAV) program are central to revitalizing a culture of accountability and responsibility. o Inspection processes are not standardized across major commands, inspectors are not appropriately trained, and inspections are not sufficiently comprehensive and frequent. o The Task Force recommends that the Air Force overhaul and standardize its entire nuclear inspection process and ensure that the SAV program is adequately resourced, realistic, and staffed.
. A robust nuclear exercise program is vital in maintaining capability and proficiency in mission execution and in demonstrating mission importance to Air Force personnel performing it. It is also an effective tool in motivating restraint by potential adversaries. o The Air Force nuclear exercise program has been marked by infrequency and low levels of unit participation. o The Task Force recommends that the Air Force establish a policy for frequency, minimum acceptable levels of participation and performance, and a centralized waiver process for nuclear exercises.
. The Air Force needs to focus on developing and managing nuclear-experienced personnel, particularly in maintenance and security personnel. o The Task Force recommends the Air Force review its deployment, assignment and promotion policies to ensure that it develops personnel and future leaders who are nuclear qualified and that nuclear-focused careers provide opportunities for professional development and promotion to senior ranks.
. Training and professional education are the key tools for generating a culture of nuclear excellence. o After the Cold War ended, both training and education in nuclear matters were streamlined to the point of near elimination. o Our review of the PME curricula for officers and enlisted personnel revealed that the concept of nuclear deterrence and the role of nuclear weapons in international security policy have fallen out of the core military doctrine taught in the Air Force PME. o The Task Force recommends that the Air Force review its PME and expand attention to nuclear matters throughout. Every Air Force officer and key enlisted personnel should be required to take appropriate nuclear-related PME offerings.
. The Task Force believes that a significant organizational change is required to restore the Air Force's attention to and readiness for the nuclear mission. o Today no senior leader in the Air Force "owns" the nuclear mission. The current organization is not properly structured to meet requirements. o Assigning a major Air Force command the responsibility for representing all Air Force nuclear-capable forces to U.S. Strategic Command (USSTRATCOM) will create nuclear mission alignment with that globally focused customer. o The Task Force believes that the nuclear deterrence mission demands an uncompromising standard of accountability and responsibility and that consolidation of Air Force nuclear forces in a single major command will set the stage for a revitalized nuclear culture. 4. Provide appropriate manning with expertise at the right levels and in the right disciplines.
. In addition to the creation of AFSTRAT, the Task Force also recommends the consolidation of all bombers in a single Numbered Air Force (NAF) that is divested of all other missions. o The "bomber" NAF should be assigned to AFSTRAT, resulting in a single major command-AFSTRAT-being responsible for advocating nuclear capability from organize, train and equip functions through pertinent resourcing and support functions. o This NAF would manage and provide trained bomber forces to fulfill demands for conventional employment, either to USSTRATCOM or in response to regional Joint Force Commanders through Joint Forces Command (JFCOM).
. Organizational changes alone will not effect the needed resuscitation of the Air Force's nuclear mission. However, this Task Force concludes that less comprehensive organizational changes would fail to address some of the main root causes of the nuclear mission's decline in priority.
. The Air Force has begun reorganizing its nuclear sustainment functions with the creation of the Nuclear Weapons Center (NWC). o The Task Force commends the increased role of the NWC for nuclear weapons and missile delivery systems. o However, it recommends further organizational changes to provide a more centralized nuclear acquisition and sustainment community under the Air Force Materiel Command (AFMC).
. Air Force leaders have failed to support appropriate resource allocation for the nuclear deterrence mission. As a result, mission readiness has been significantly degraded. o The Task Force recommends that the Secretary of the Air Force; the Chief of Staff of the Air Force; the commander of a newly designated Air Force Strategic Command (see below); the Director of Nuclear Operations, Plans, and Requirements (AF/A3/5N); and the Commander of the Nuclear Weapons Center review on a quarterly basis resource allocation and mission readiness for the Air Force nuclear mission. This should begin immediately in order to influence FY10 budget decisions. 2. The lack of clear ownership of the ICBM engineering community by a major command, with the result that ambiguity exists over who is responsible for supporting maintenance operations.
. The Air Force commissioned an assessment team, chaired by the head of the Air Force NWC, to review the nuclear sustainment enterprise and document significant findings on the issues set forth above. o As a result, the Air Force has developed an asset accountability system to achieve strict inventory control over nuclear weapons-related materiel. o The Task Force judges that this "positive inventory control" system should be able to identify and account for the condition and location of all nuclear-related materiel anywhere in the supply chain at any point in time. o The Task Force endorses the Air Force's decision to maintain exclusive control over each asset throughout its life cycle thus reclaiming wholesale distribution responsibilities from the Defense Logistics Agency.
. The Air Force has also reviewed the nuclear sustainment organizational structure and has centralized key management functions under the NWC. o Program management for ICBMs, cruise missiles, weapons trainers, and bomber weapons interface equipment has been consolidated under this organization. o The official definition of nuclear weapons-related materiel does not cover all sensitive nuclear weapons components, such as ICBM Guidance Section and Aircraft Code Enabling Switches that are integral to nuclear weapons delivery systems. The Air Force should create another category of such assets that is governed by the same asset accountability requirements as nuclear-related materiel and manage the life cycle of these components as well. o An Air Force assessment has recommended that the sustainment reporting chain for the 526th ICBM Systems Group be through NWC to AFMC. The Task Force concurs and also recommends that ICBM expertise be required for senior leaders of the 526th.
. The Air Force has recently established a Nuclear Task Force that is designing a comprehensive road map to address the shortcomings identified by this and other reports.
. The Air Force is currently tracking more than 180 corrective actions and is analyzing the root causes of the erosion of its nuclear mission.
. The Task Force believes these actions reflect a commendable effort to establish a solid foundation for change. However, it will take a concerted and sustained commitment by the Air Force leadership at all levels to restore the culture and ethos of nuclear excellence.
. Air Force leaders are now saying the right things-the question is whether there ultimately will be sufficient follow through. The Task Force believes the measures recommended in this report can help ensure that the needed revitalization does occur. The following is a complete list of recommendations from the report, some of which were not addressed in this executive summary. 1. The Secretary of Defense should direct the Air Force to provide periodic reports on the Service's progress towards improving nuclear weapons management. 2. The Vice Chief of Staff of the Air Force should undertake a thorough review of all nuclear-related Air Force instructions, policies, and documentation to ensure these publications are consistent, current, accurate, and sufficient to support field operations. Additionally, the Air Force should establish an agile and fully resourced system for managing interim changes and clarification messages for nuclear-related procedures and publications. This review should be completed by September 2009. 3. Major Command (MAJCOM) commanders should promulgate policy requiring Inspector General involvement in the process of developing operational and procedural guidance for nuclear-related inspections. This should be completed by December 2008. 4. The Deputy Chief of Staff of the Air Force for Operations and Requirements (A3/5) should establish a policy for frequency and minimum acceptable levels of participation and designate a central waiver authority for nuclear exercises. All requirements and planning should be promulgated by September 2009. 5. The Air Force Inspector General should spearhead the overhaul and standardization of the nuclear inspection process across the Air Force. Nuclear Operational Readiness Inspections (NORIs) should occur at intervals of 36 months or less. This review and policy implementation should be in place by the end of March 2009. 6. The Chief of Staff of the Air Force (CSAF) should establish guidance for the conduct of SAVs and ensure the program is appropriately resourced and staffed with expert personnel. All program elements, policy, and resources should be in place by September 2010. 8. The Air Force should move to a 12-month rotation for each unit assigned to the GDF. 9. The Deputy Chief of Staff of the Air Force for Manpower and Personnel (AF/A1) should define nuclear-critical billets and identify critical nuclear positions as "must fill" on Unit Manning Documents. This should be completed by October 2009. 10. The Deputy Chief of Staff of the Air Force for Manpower and Personnel (AF/A1), in conjunction with Career Field Managers, should assess manpower standards for all career fields supporting the nuclear mission by October 2009. 11. The Deputy Chief of Staff of the Air Force for Manpower and Personnel (AF/A1) should designate personnel assigned to key operational unit nuclear billets as "deployed in place" and receive credit commensurate with deployment for promotion board purposes. This should be completed no later than October 2009. 12. The Deputy Chief of Staff of the Air Force for Manpower and Personnel (AF/A1) should ensure nuclear unit commanders have the ability to reclama voluntary deployment requests by unit personnel. This should be completed no later than October 2009. 13. SECAF should include guidance to successive promotion and special selection boards emphasizing the need to promote and develop sufficient numbers of highly experienced nuclear personnel to fill critical nuclear positions. A plan for providing this guidance should be in place no later than December 2008. 14. The Deputy Chief of Staff of the Air Force for Manpower and Personnel (AF/A1) should authorize and assign intelligence officers to each of the three missile wings and to Headquarters, 20th Air Force. This should be completed by March 2010. 15. The Commander, Air Education and Training Command should conduct a curriculum review of all Air Force Professional Military Education and expand educational offerings on nuclear deterrence, strategy, and operational theory. The curriculum review should be completed no later than May 2009 with the new curriculum added to appropriate courses beginning with the 2009-2010 school year. 16. The Air Force should conduct more numerous, small-scale wargames aimed at shaping internal attitudes on nuclear weapons. This should be initiated by October 2009. 17. The Air Force should establish a school for nuclear operations focused on professional excellence in the nuclear deterrence mission. This should be done by October 2010. 18. CSAF should initiate a Senior Mentor Program for nuclear operations fashioned after the JFCOM approach for Joint Task Force Operations. This should be completed no later than November 2008. 1. The Secretary of the Air Force (SECAF) and CSAF should redesignate Air Force Space Command (AFSPC) as Air Force Strategic Command (AFSTRAT). This should be completed by September 2009. 2. SECAF and CSAF should direct the assignment of all Air Force bombers to 8th Air Force. This should be completed by September 2009. 3. SECAF and CSAF should direct the removal of all non-bomber-related missions from 8th Air Force (e.g., Intelligence, Surveillance, and Reconnaissance [ISR] and cyberrelated organizations) and their reallocation to other Air Force commands. This should be completed by September 2009. 4. SECAF and CSAF should direct the reassignment of the reconstituted 8th Air Force from Air Combat Command (ACC) to AFSTRAT. This should be completed by September 2009. 5. SECAF and CSAF should direct a review and validation of manning and resourcing of AFSTRAT headquarters, ACC headquarters, strategic missile and bomber NAFs, and their assigned wings. The revalidation and assignment actions should be completed by September 2009. 6. SECAF and CSAF should evaluate the grade structure of the NAF commanders assigned to AFSTRAT to ensure that the ranks of the various NAF commanders are equitable. This should be completed by September 2009. 7. CSAF should direct the consolidation of CONUS and USAFE-controlled weapons storage areas under NWC. This should be completed by September 2010. 8. SECAF and CSAF should realign the Space and Missile Systems Center from AFSPC to AFMC and realign functions associated with ICBMs and cruise missiles, including PEO responsibilities, under NWC. This should be completed by September 2009. 9. SECAF should designate Commander, AFMC as the Executive Agent for Air Force nuclear weapons and nuclear weapons-related materiel. This should be completed by September 2009. 10. CSAF should strengthen the Air Staff nuclear oversight and policy function by adding a one-star general officer billet to the office of the Director of Nuclear Operations, Plans, and Requirements (AF/A3/5N). CSAF should also conduct a review to establish the appropriate level of additional staff support required. This should be completed by September 2009. 11. The Task Force recommends that the Secretary of the Air Force, the Chief of Staff of the Air Force, the commander of a newly designated Air Force Strategic Command, Director of Nuclear Operations, Plans, and Requirements (AF/A3/5N), Commander of the Nuclear Weapons Center, and Commander USSTRATCOM review on a quarterly basis resource allocation and mission readiness for the Air Force nuclear mission. This should begin immediately in order to influence FY10 budget decisions. 1. The Air Force Deputy Chief of Staff for Logistics, Installations & Mission Support (AF/A4/7) should develop guidance for creating a second category of assets that encompasses other sensitive nuclear delivery system components, which are distinct from nuclear weapons-related materiel but should be governed by the same requirements. The NWC Commander should identify and certify the list of items that fall within this asset category by September 2009. 2. The Air Force Deputy Chief of Staff for Logistics, Installations & Mission Support (AF/A4/7) should redesignate asset accountability personnel to distinguish those directly involved with the nuclear weapons-related materiel supply chain (and potentially other sensitive nuclear delivery system components) from inventory managers by September 2009. 3. The Task Force concurs with the Air Force's action to codify the organizational change for the 526th ICBM Systems Group to report through NWC to AFMC. Additionally, ICBM expertise should be required when filling the senior leadership positions within the 526th ICBM Group. 4. AFMC should reassess the division of technical engineering support provided to the ICBM missile maintenance organizations to ensure unity of effort under a single entity.